Houston, Texas – March 19th, 2018: On March 17, deputies with Constable Mark Herman’s Office responded to the 2400 block of West FM 1960 in reference to a child left in a locked vehicle. EMS was on location and advised they found a child locked inside the vehicle with the windows slightly cracked. EMS stated that the mother ran up to them and removed the child from the car. The child was limp, unconscious, and extremely sweaty. EMS provided medical care to the child. 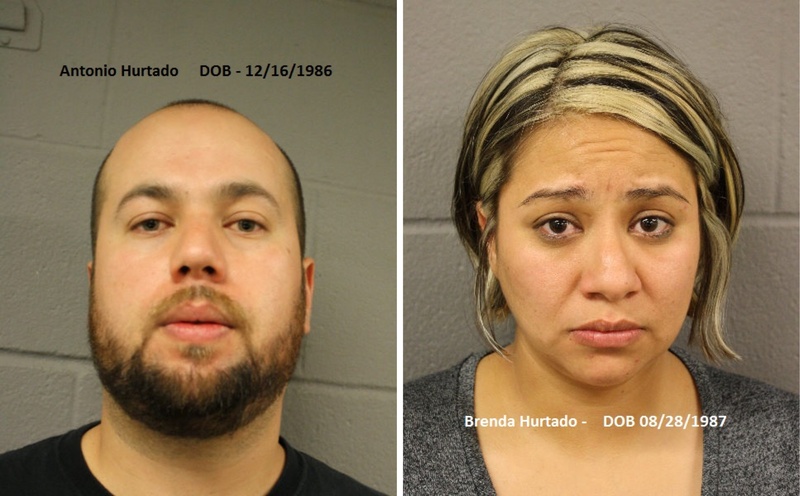 Further investigation by deputies revealed that the parents, Brenda Hurtado and Antonio Hurtado left their child in the vehicle to sleep while eating in a restaurant. The child was left in the hot vehicle for nearly 40 minutes.